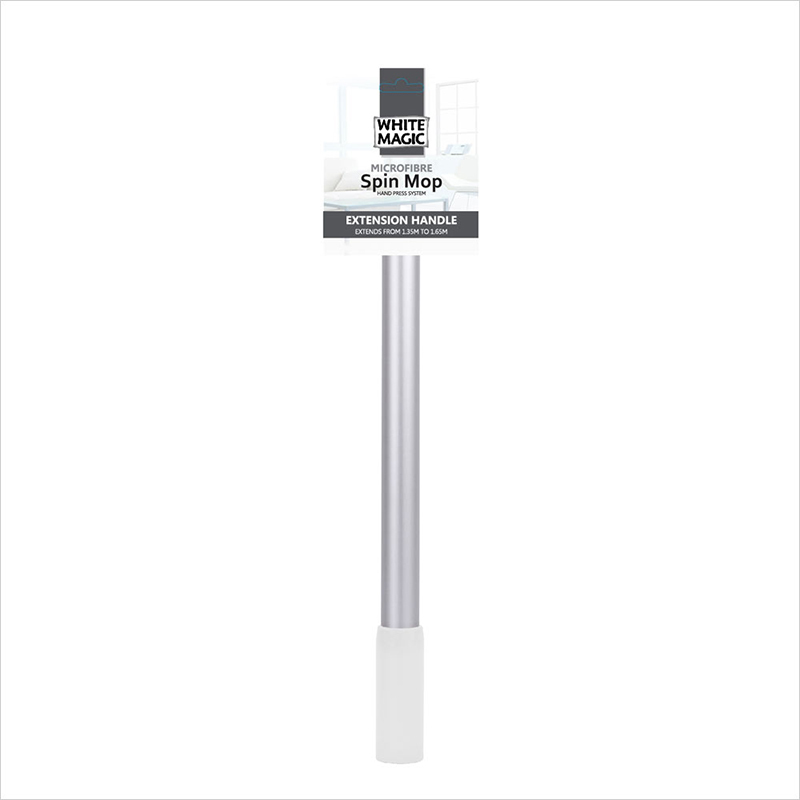 White Magic Hand Press Pure Spin Mop is a best hand press spin mop that has a stylish colour - white with a hint of charcoal. 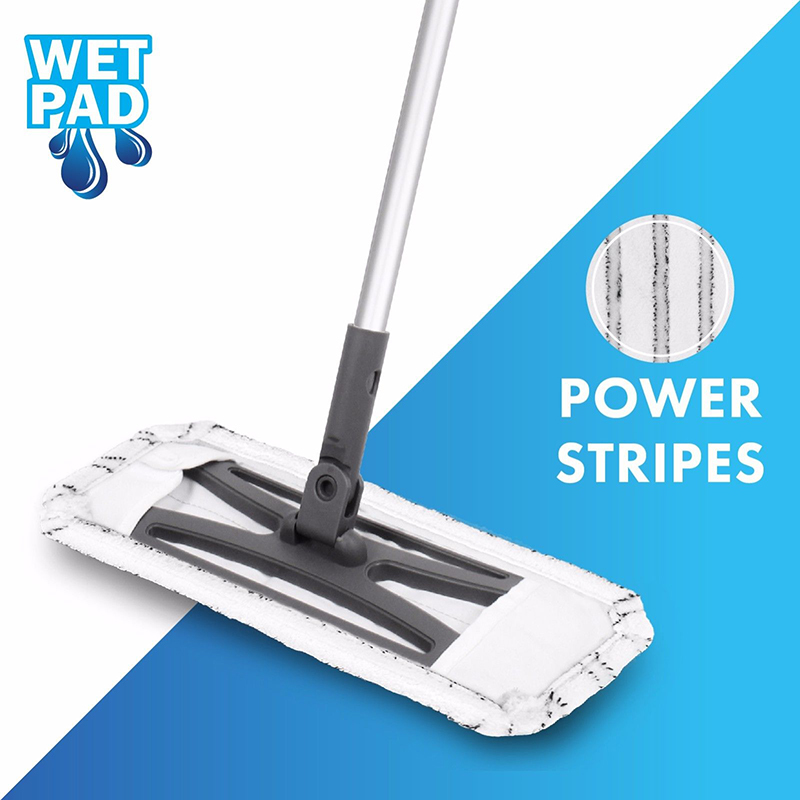 The mop head has extra power fibres to scrub, absorb mess and clean all your hard floor surfaces. 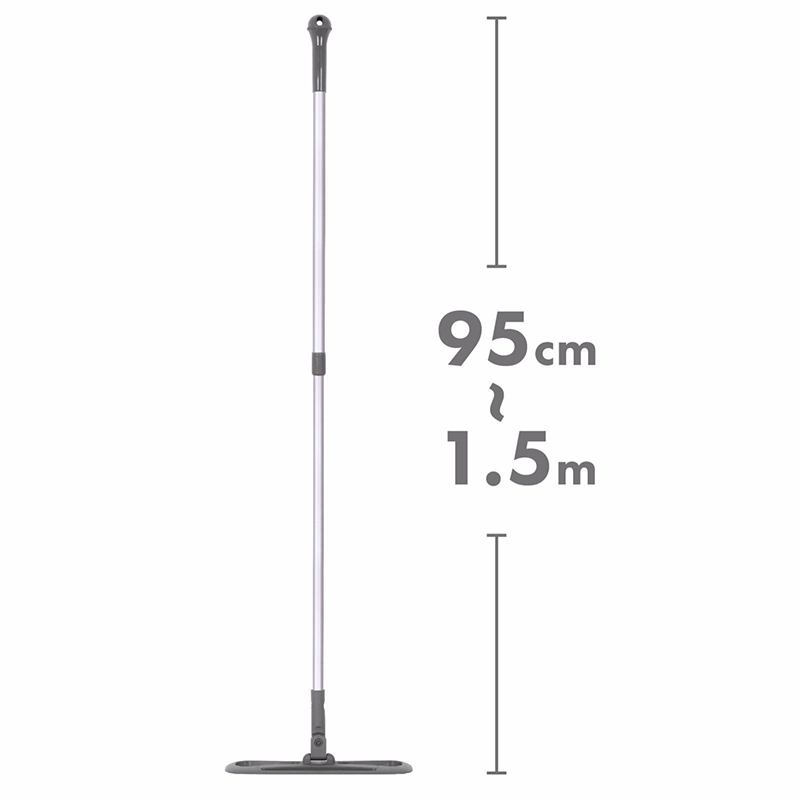 The 1.35m handle (x1) is lightweight and strong which pivots 180 degrees and spins 330 degrees. 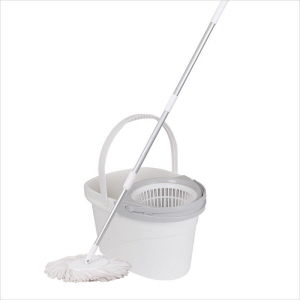 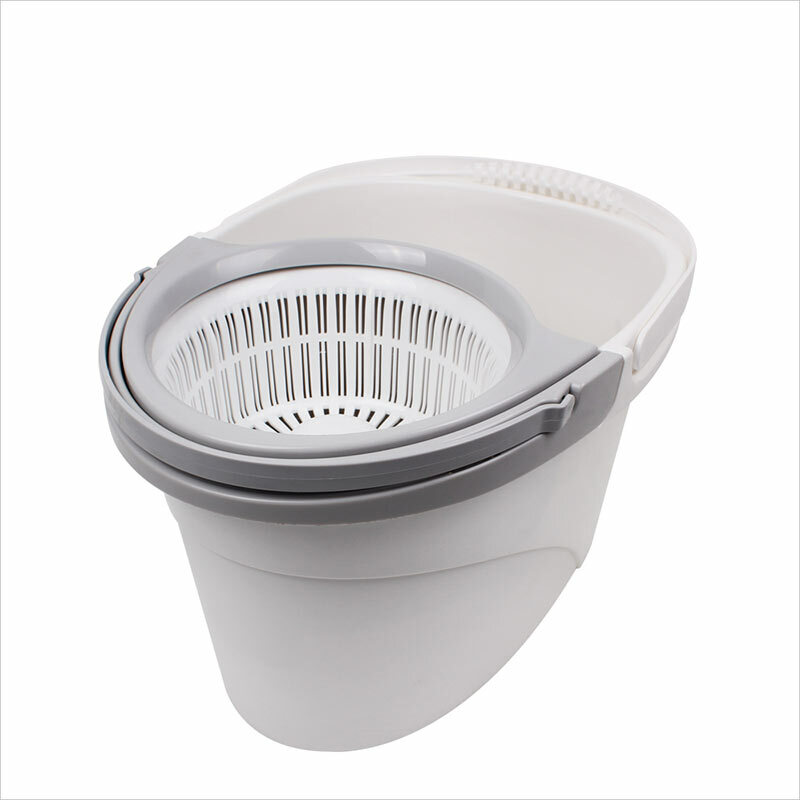 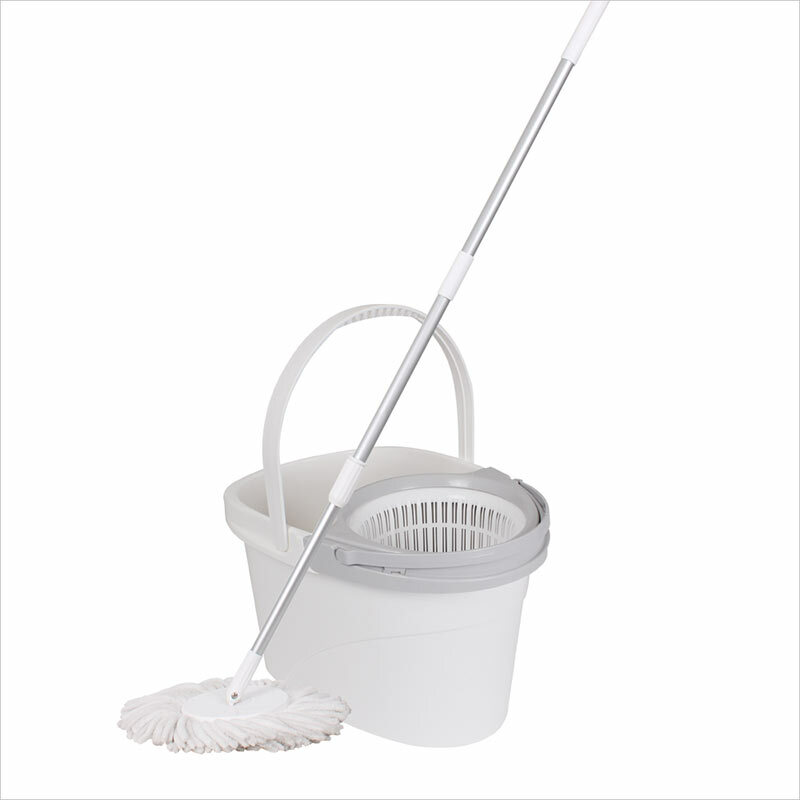 The Pure Spin Mop bucket (x1) rotates at 2600 rpm to clean and dry the mop head. 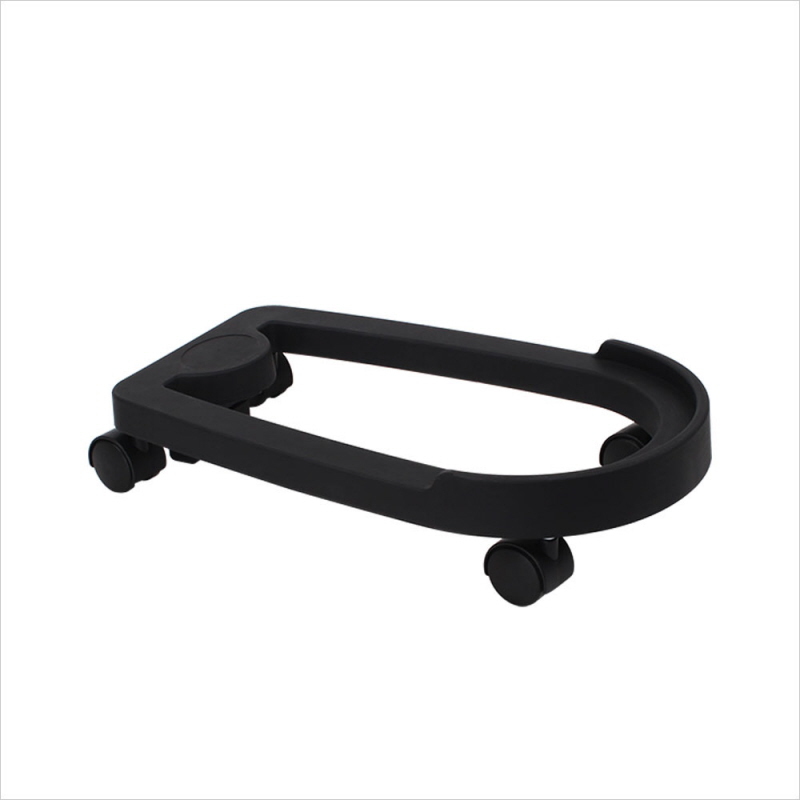 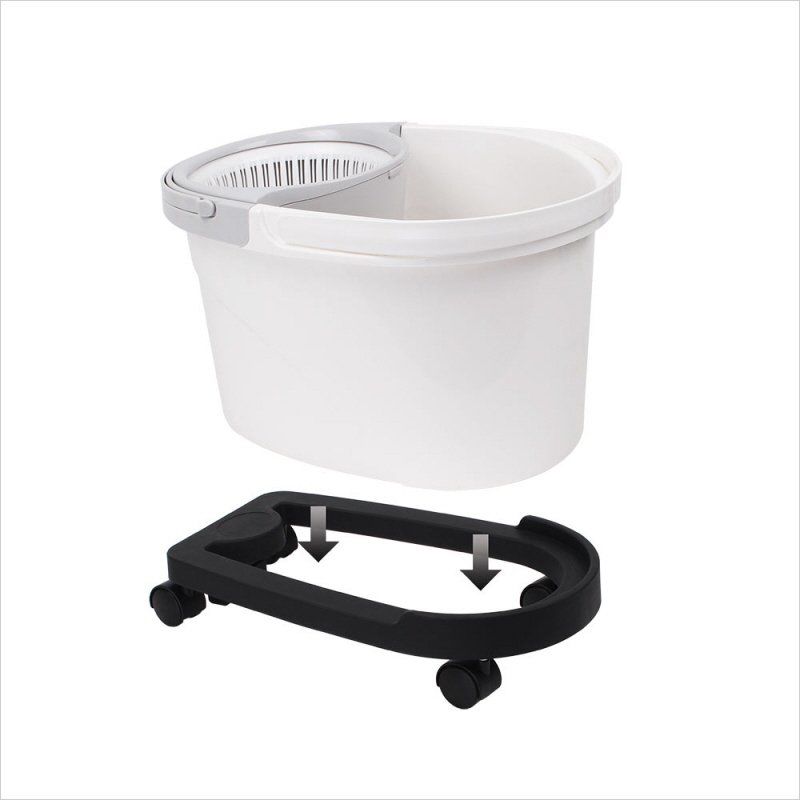 It has a removable Spinner for small jobs and easy cleaning. 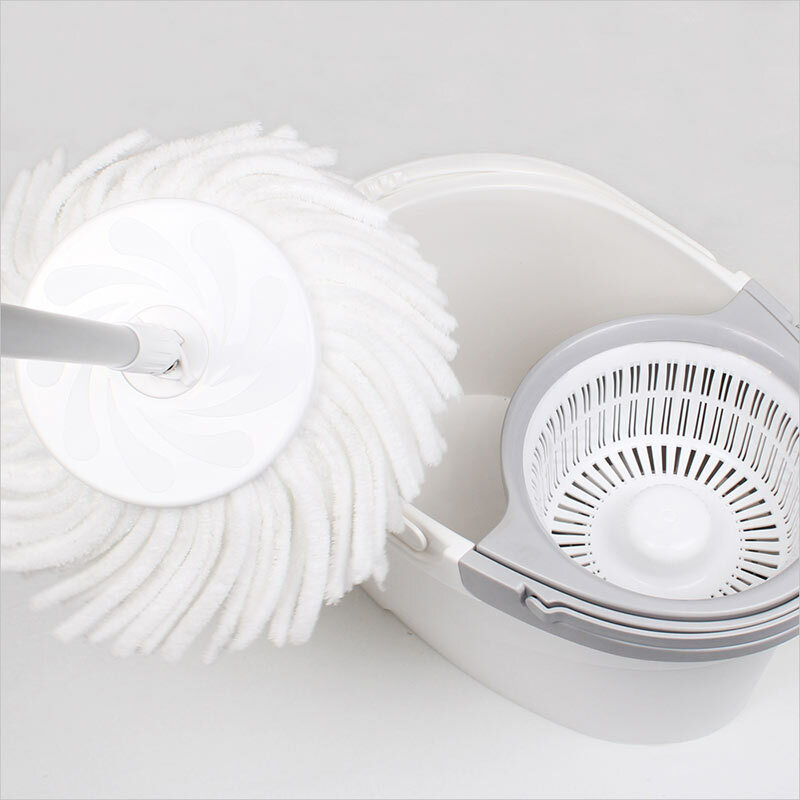 The mop head (x1) is machine washable at least 100 times. 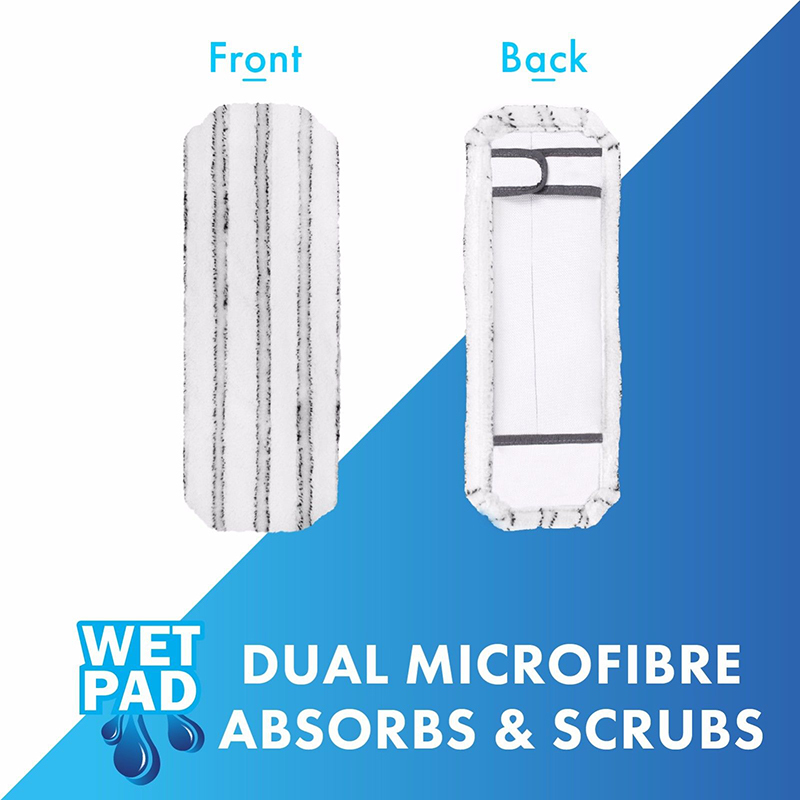 Extra power fibres scrub and absorbs mess. 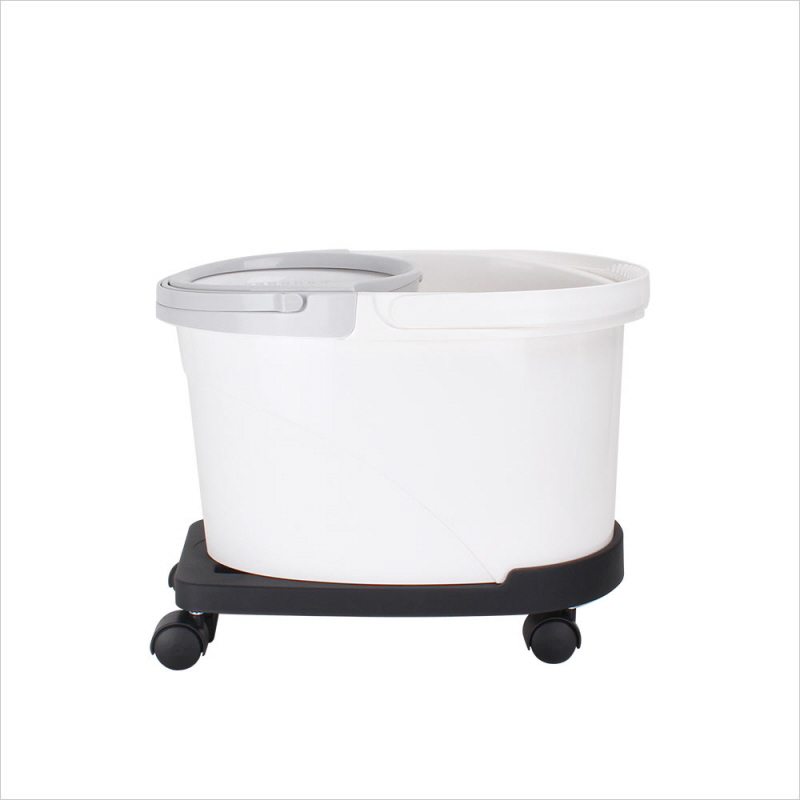 Move your Microfibre Spin Mop Bucket easily without bending with this Spin Mop Bucket Trolley. 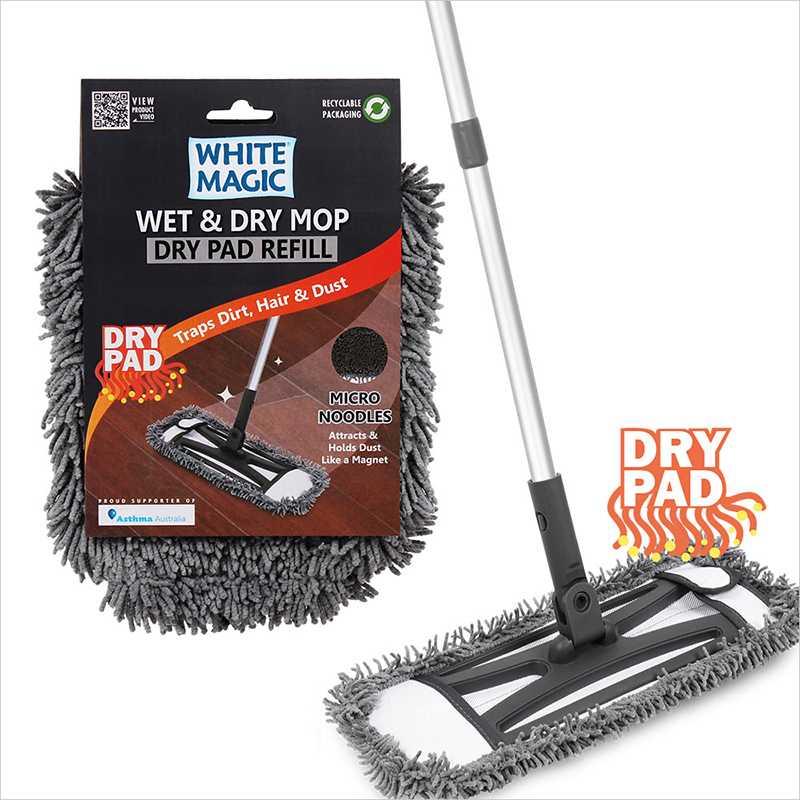 This is compatible with all White Magic Spin Mops. 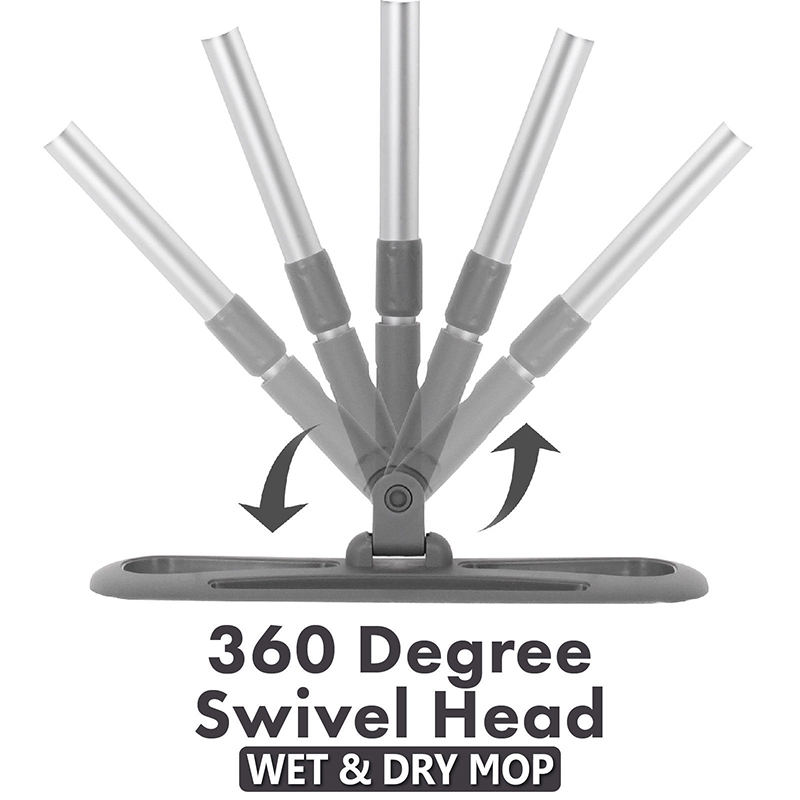 - Wheels Spin in Any Direction (360 degree). 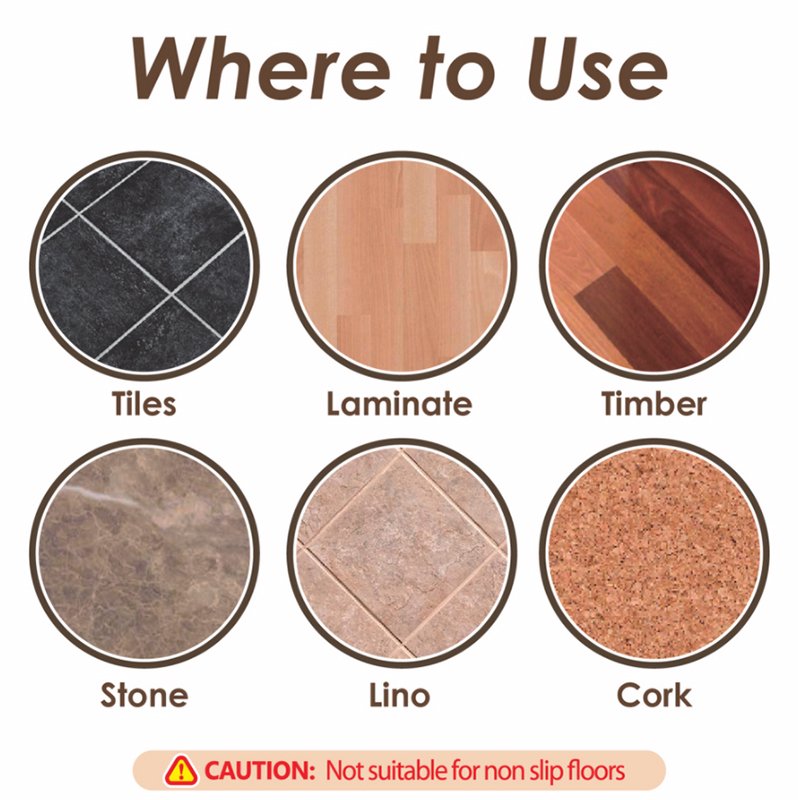 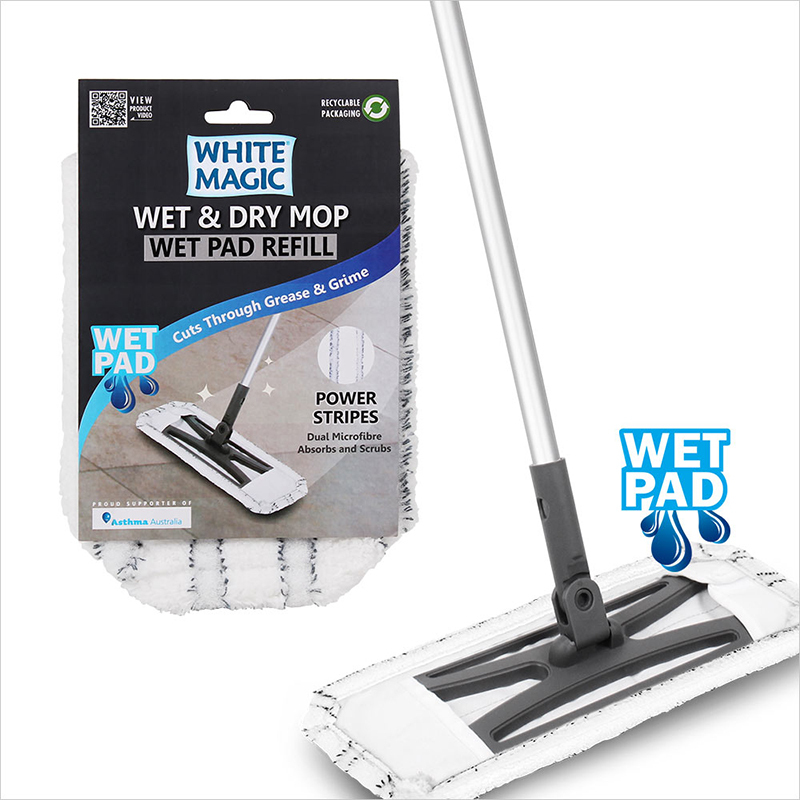 White Magic Wet and Dry Mop is the solution if you are looking for universal flat mop that is perfect for quick cleans on any hard floor. 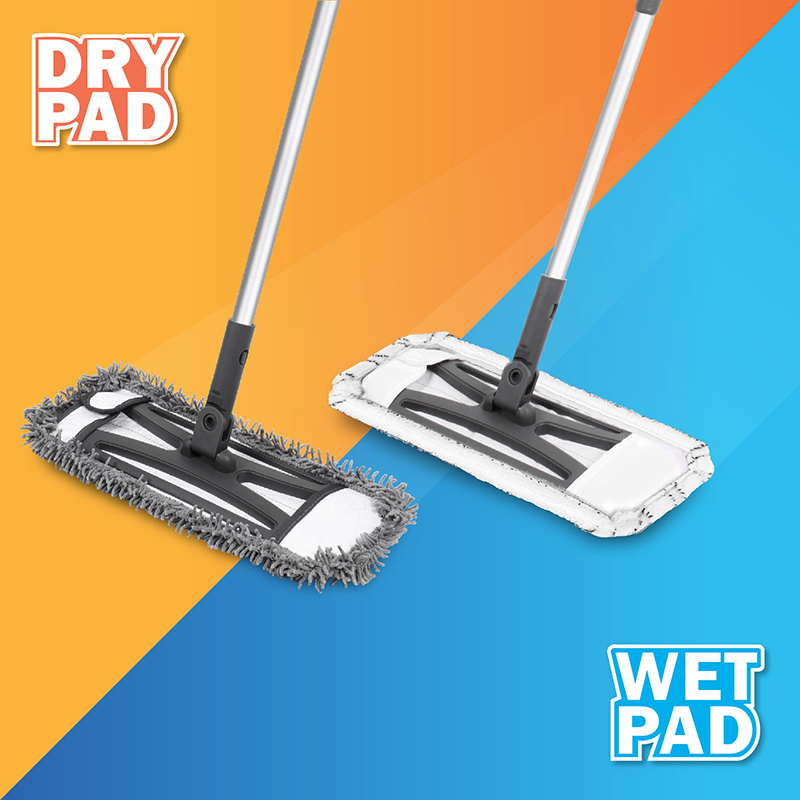 It comes with 2 pads for both Wet and Dry Cleaning. 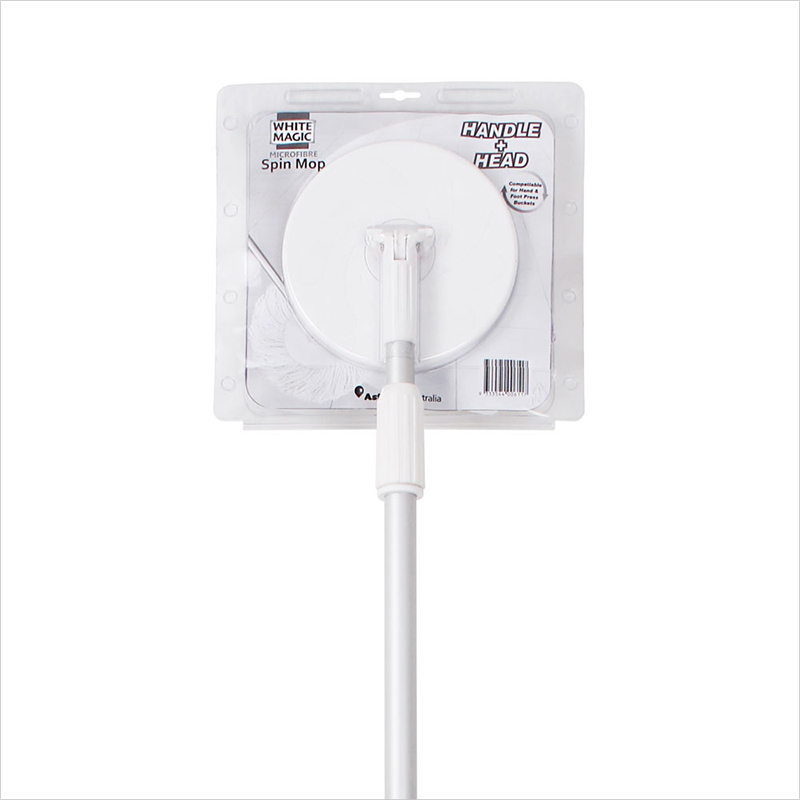 The Wet Pad is made from gentle yet aggressive microfibre threads that scrub and absorb spills easily. 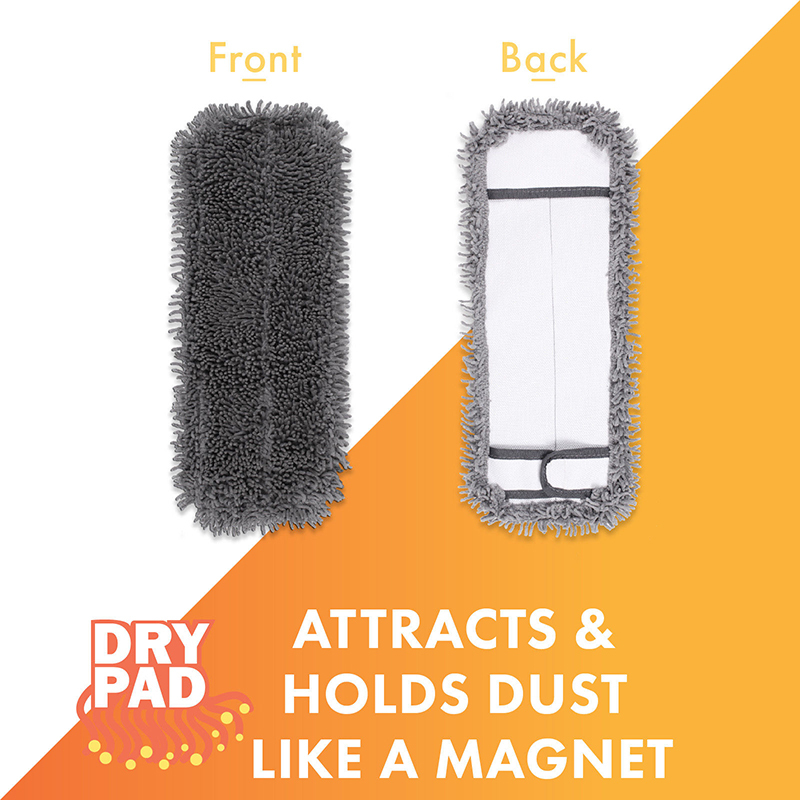 The Dry pad features a super soft microfibre that picks up dirt, dust, hair and particles with electro-static energy. 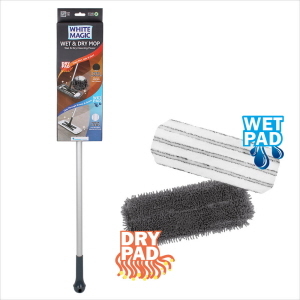 These pads can be machine-washed 100 times. 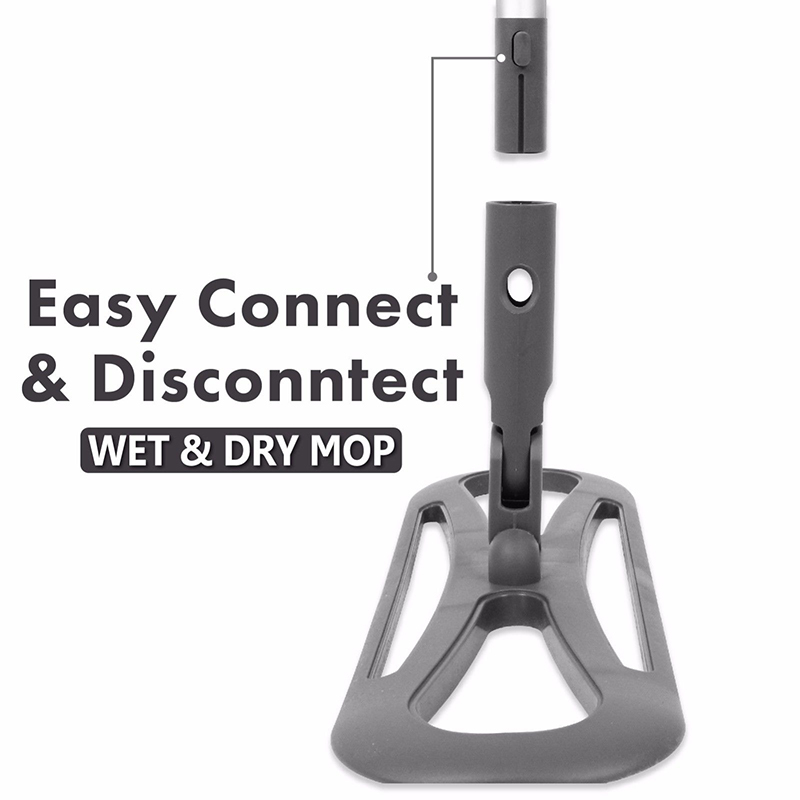 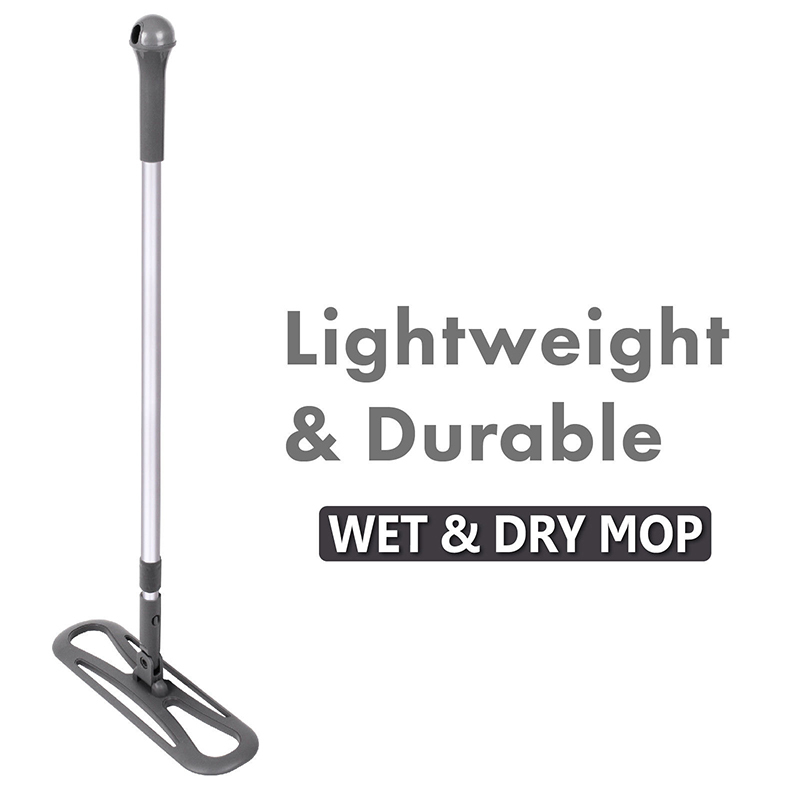 This Wet & Dry Mop also features a strong and lightweight telescopic pole can go from 95cm to 1.5 meters in length and a 360 degree pivoting head which makes mopping job easier and cleaning hard to reach areas. 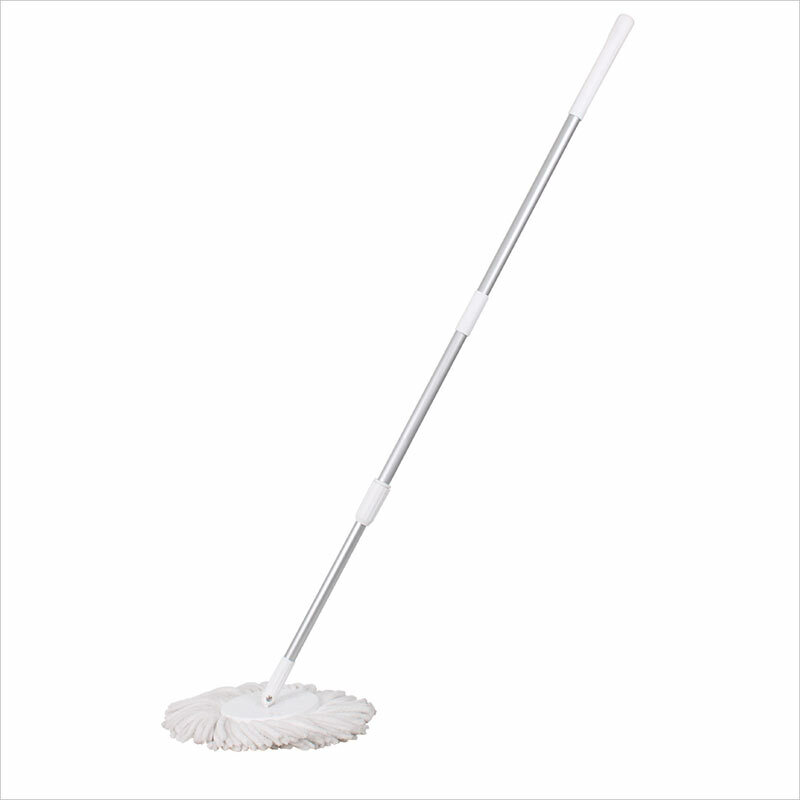 Extends the Pure Spin Mop Handle from 1.35m to 1.65m. 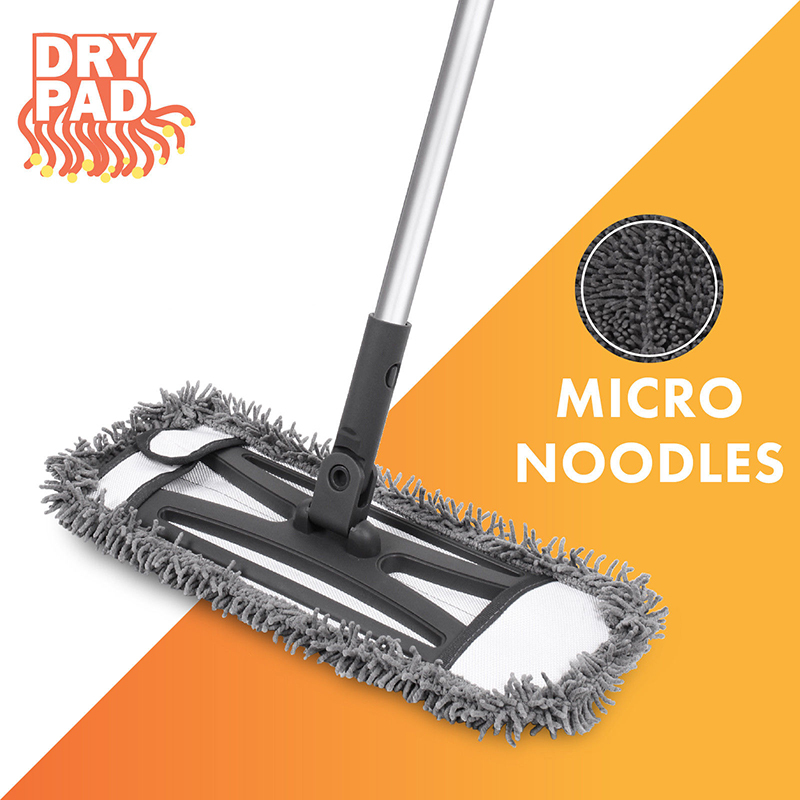 It works on any White Magic Spin Mop handle.